Regisgate Hotel is a budget hotel located at Plot 20, Supeb Rd Off Port Harcourt Road, New Owerri, Imo, Nigeria. Regisgate Hotel has a lot rooms all with modern furnishing. Room categories include Magestic Deluxe, Continental Deluxe, Ambassadorial Deluxe and Royal Deluxe. 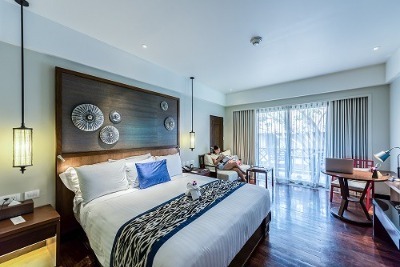 Each room features a spacious bathroom, king-sized beds, cable connected LCD TV sets and air conditioners. A number of facilities are available at Regisgate Hotel. These include free WiFi, a restaurant and a bar. Guests at this hotel will have more time to enjoy their stay at the hotel. The hotel offers additional services on request such as 24-hour front desk, shuttle service, Luggage storage, Express check-in/check-out, cleaning services, Ironing service, Dry cleaning/Laundry service. Q: Does Regisgate offer free wifi? Q: Does Regisgate have a swimming pool? Q: Does Regisgate offer complimentary breakfast? Q: Is there a fitness centre/gym at Regisgate? what type of equipment are available? Q: Does Regisgate Hotel have a restaurant? A: A restaurant is available at Regisgate hotel. REGISGATE HOTEL is a budget hotel in Owerri, Imo. Have nice pictures of REGISGATE HOTEL?